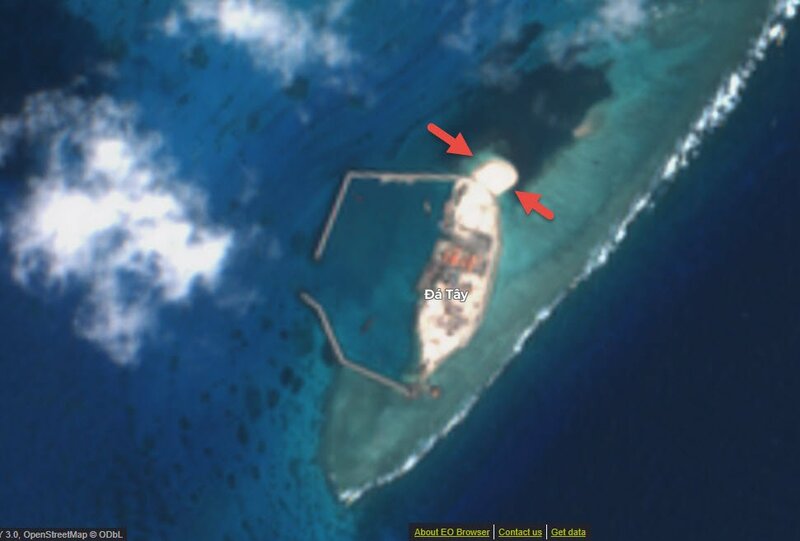 New Vietnamese land reclamation spotted at one of #Vietnam's outposts in the Spratly Islands area of the #SouthChinaSea at West London Reef (Dao Đá Tây). And yet. You don't hear a peep from the US and her "allies" about this. If this was China, they would've made so much fuss, you would've thought the world has just ended! zealotaiur485, mr.bean, PanAsian and 9 others like this. Britain and her defense secretary Williamson has "merely farted"! Please. I thought you were above this. If you got nothing good to say , don't say anything at all. I already said I take information from the town crier if I have to. Even from you! So you picked the sun as your on liner. What about my other post from the world economic forum on trade war thread. No didn't think you would pick that one. Just grow up, if you like a debate, I'll be more than happy to have debate with you civilly, but if you insist on one liners, you'll have the honour of being the first person on my ignorance list! bluewater2012 and KIENCHIN like this. Yes I know is trash! But it has a serious point if you prepare to look past the trash. The reason I posted that was to hope to expose the hypocrisy of the MSM. First notice that Britain is still trying to act as if it is still "Great" with a mighty empire. (US once said Britain lost am empire and its still trying to find a role for iitself)! Last, have you not noticed the MSM is spinning this as if it is legitimate and perfectly normal, and nothing provocative at all! zealotaiur485, bluewater2012, SCSbelongstoChina and 3 others like this. time for China to renovate some old coastguard ships with more powerful engines and reinforced bow section of the hull for ramming purposes. one foggy day and "accidental" collision.......that would be quite a show. mr.bean, zealotaiur485, Yodello and 2 others like this.